Browse: Home / XSStrike is a python which can fuzz and bruteforce parameters for XSS. 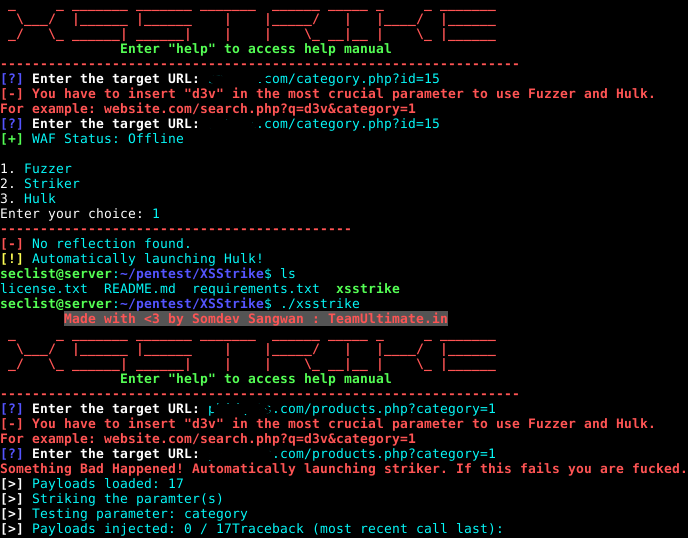 XSStrike is a python which can fuzz and bruteforce parameters for XSS. XSStrike is a python which can fuzz and bruteforce parameters for XSS. It can also detect and bypass WAFs. + colorama, mechanize python module. 1. Fuzzer: It checks how the input gets reflected in the webpage and then tries to build a payload according to that. 2. Striker: It bruteforces all the parameters one by one and generates the proof of concept in a browser window. 3. Hulk: Hulk uses a different approach, it doesn’t care about reflection of input. It has a list of polyglots and solid payloads, it just enters them one by one in the target parameter and opens the resulted URL in a browser window. XSStrike currently supports GET only but support for POST will be added soon. Unlike other stupid bruteforce programs, XSStrike has a small list of payloads but they are the best one. ← AQUATONE is a set of tools for performing reconnaissance on domain names.